George LeMieux is a very successful political operative, as well as a successful and effective lobbyist. Plus, he’s the governor’s best friend, but that’s not the criteria we’re looking for in the next U.S. Senator from Florida. What Republicans want is someone to go to Washington and stand up to the most radical agenda proposed in a long time. There were some people in consideration that fit the bill in terms of conservative principles, but they weren’t picked. 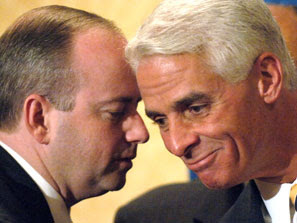 When you’re running for U.S. Senate, like Governor Crist, and you’ve got to pick the U.S. Senator, your choice says a lot about who you are, and what kind of senator you would be. LeMieux has never been an elected official. He’s a lobbyist and was the governor’s closest advisor when he was deciding on issues like cap-and-trade and the stimulus. Dan Webster, a Florida House veteran, should have been picked. 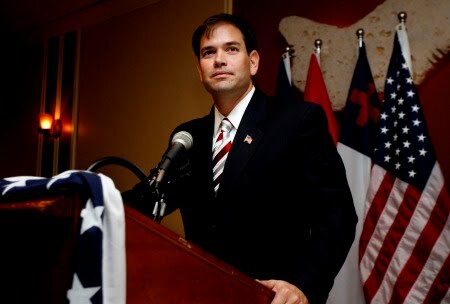 He understands the legislative process and is consistent and courageous. We would have known where he stands from day number one. There would have been no doubts in anyone’s mind. So, I ask the governor, why George LeMieux over Dan Webster? I think it’s fair to ask for questions about our new U.S. Senator, about the client list at his firm to where he stands on every issue. It should all be brought into the public record.